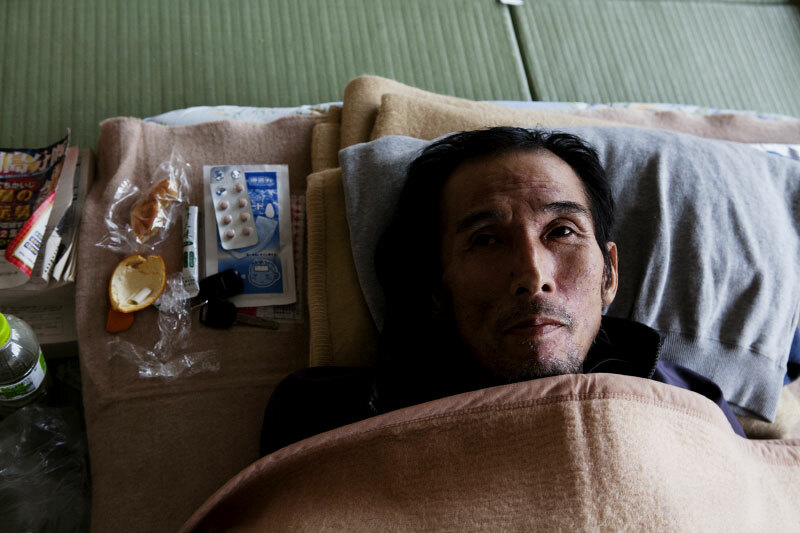 Kenji Shimizu, 57, stays at Rihu gymnastic stadium evacuation site. He escaped by car yet lost everything like others. Then he moved to this evacuation site, and became not well.